Kitchen is undeniably essential part of a house. It is not simply where to cook for the family. It is more of where you express your value to your family through the cooking or diet imply. 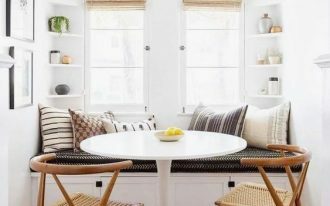 It is a place for soothing your mood, a place to talk to one another while snacking, a place to strengthen the bond by cooking together, and many more. 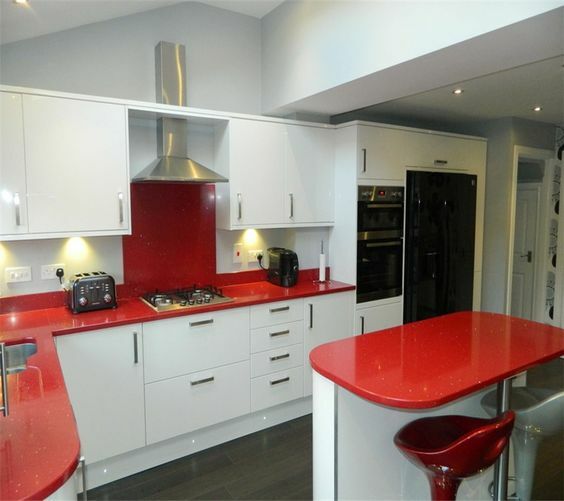 The kitchen worktop where you mostly do a lot to prepare the food is indeed essential too. 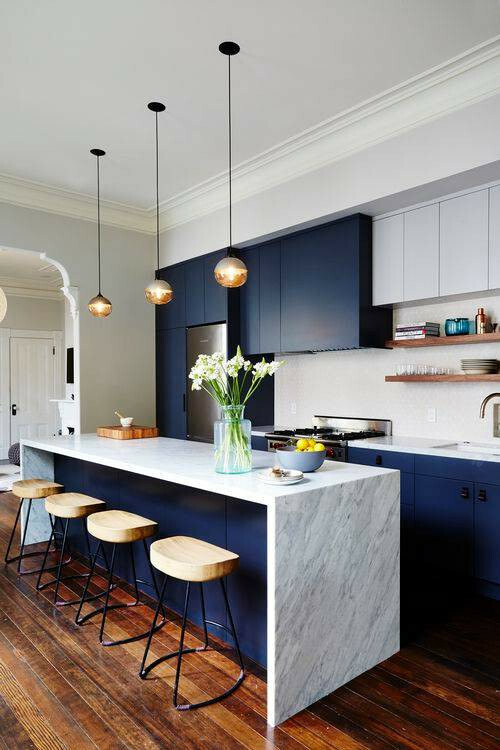 The proper combination between material and design could help you meet the desired functions of the kitchen more effectively. 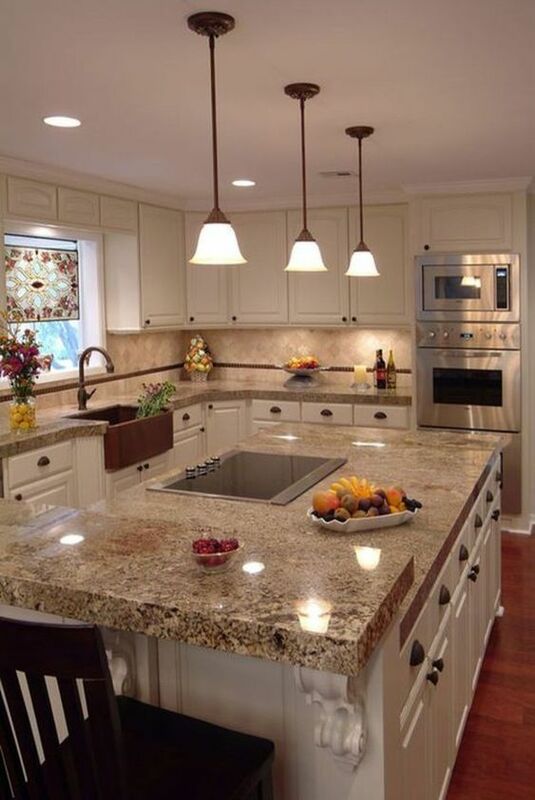 Let us get to know more each material and decide what will interest you to apply in your own kitchen style. 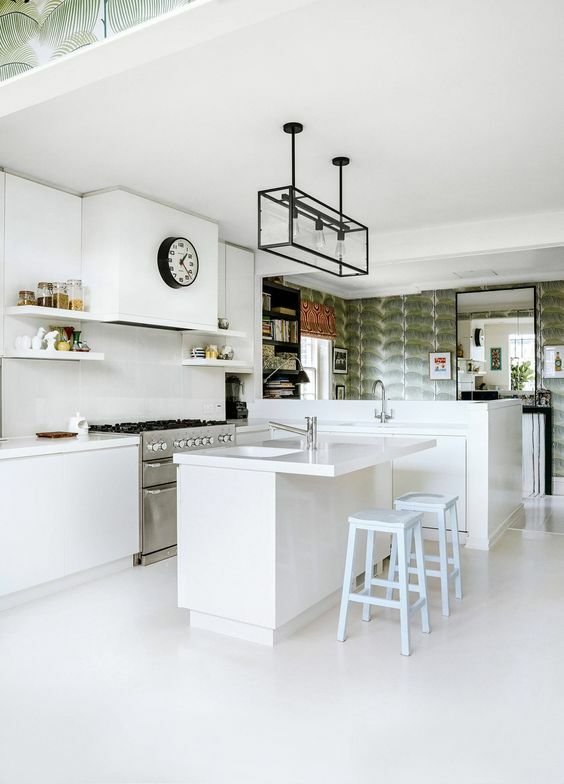 This image shows you the use of compressed quartz worktop in a Scandinavian kitchen. This material is one of the economical ones. 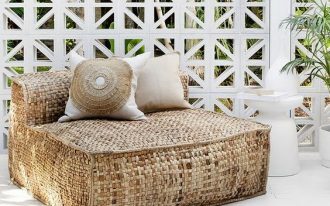 You can combine it with other materials, such as wood or bamboo, and grab the clean and natural looks at once. 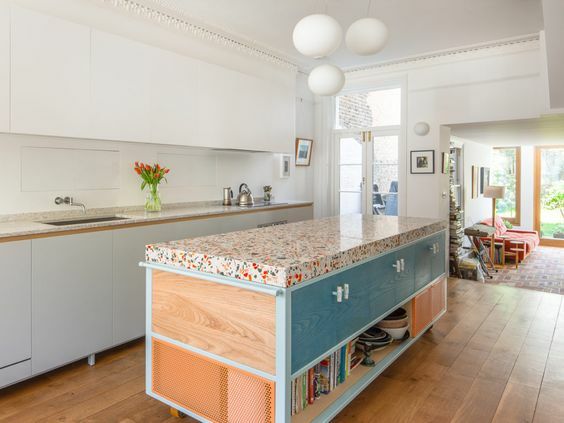 If you want to have all-in-white kitchen, you had better try corian for your worktop. 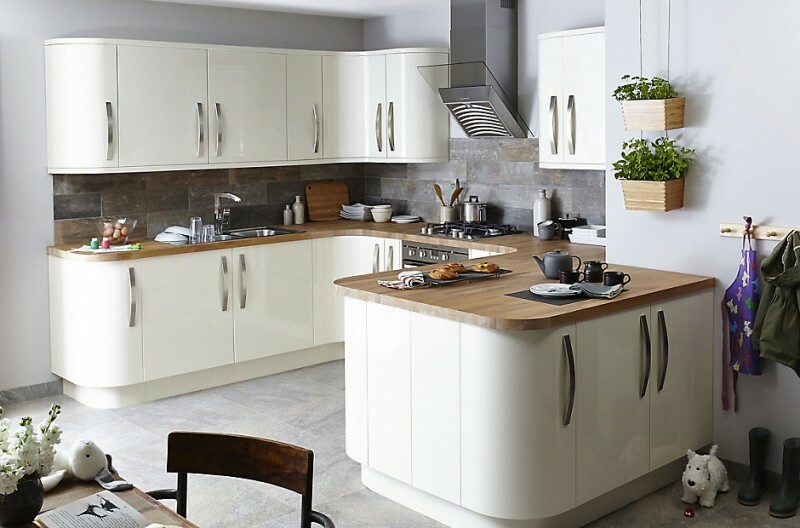 It can be combined with any material you have for another parts of your kitchen since the colour is homogeneous. This material is best applied to meet your craving for simplicity. 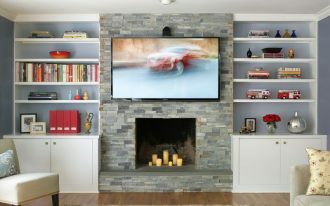 As a kitchen may function as family room, some people prefer warm nuance here. 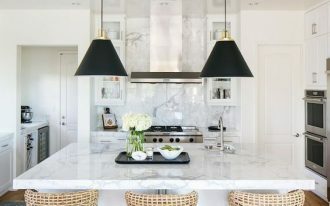 The suitable material for the worktop is marble. Choose any colours will possibly enhance the warmth of the room, like beige or mocha. 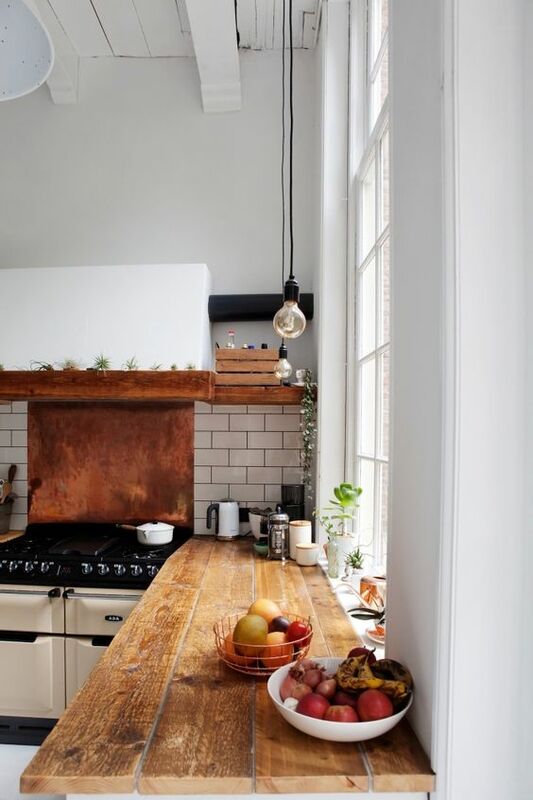 Bring nature vibe in your kitchen by using wooden plate as the worktop. This material is affordable and easy to get. Plus, it will be really nice when you apply wooden material for other kitchen furniture. 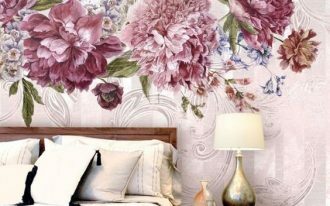 Playful colour can create cheerful mood in your room. In this case, applying terazzo material for the kitchen worktop along with other furniture in nice combination of colours. 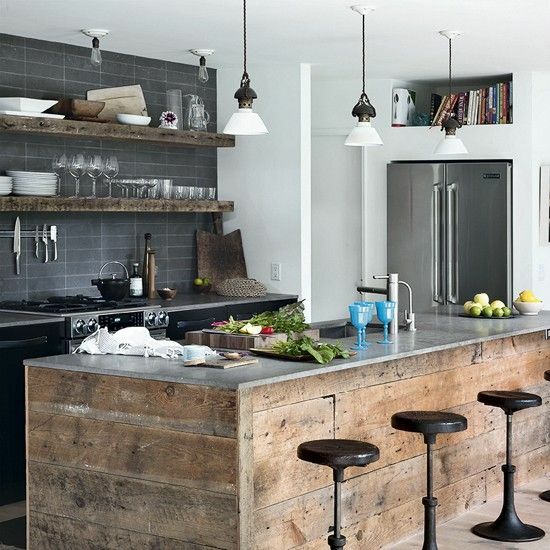 Combine it with bright and clear lighting so that your kitchen stay chic and modern. Laminated worktop is more flexible because there are lots of choices of colour. You can match your home style with the colour of the lamination. In addition, it is surely affordable. 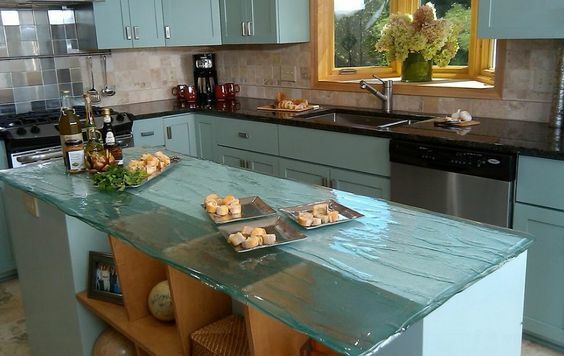 Glass kitchen worktop might be perfect for you beach house. The flowing-water look of the tempered glass can enhance the nuance of beach. 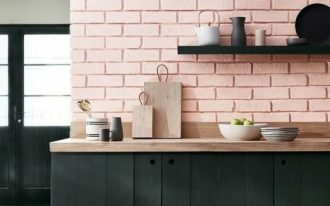 It will make your kitchen look glamorous as well. 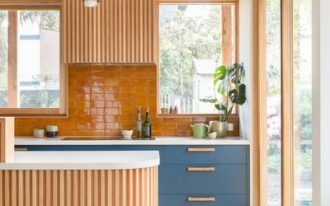 Contemporary kitchen tends to apply simple use of colours. 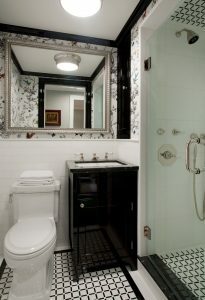 The combination of white marble and navy palette is a descent example of the application of this style. Kitchen worktop made of stainless steel suits best on your industrial kitchen. The colour of this material gets along really well with the tone of this home style. Besides, stainless steel is practically easy to clean. 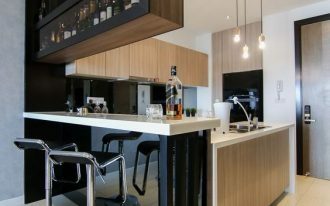 Wooden material can be combined for ultra-modern style of kitchen. 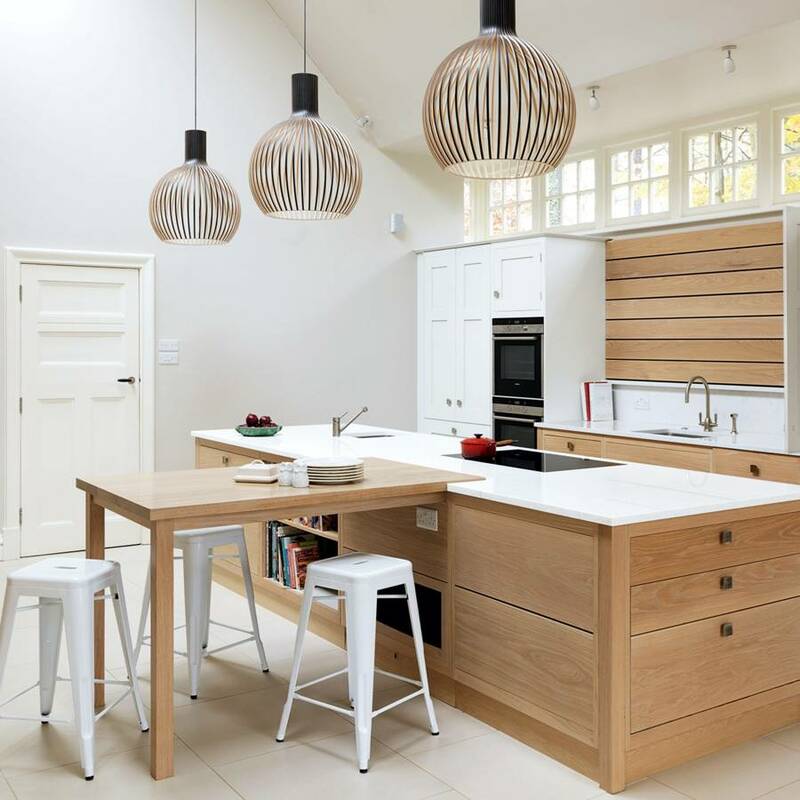 The application of curvy cabinets and wooden worktop fits best for your Scandinavian look with extra touch.